With a convincing 10-1 vote against it, the state House Finance subcommittee rejects legislation previously passed by the Senate but opposed by the Haslam administration.. The state House of Representatives — supported, it would seem, by the Haslam administration — acted decisively on Monday of this last week of the 2014 legislative session to reverse the action of the state Senate, week before last, in passing an open-carry gun bill. The bill, which the Senate had approved by a 25-2 vote, was negated by an equally lopsided vote of 10-1 by the House Finance Subcommittee, which had the duty of screening it for the full Finance Committee, where approval was necessary to secure a floor vote for the bill. That the bill’s defeat in the Finance subcommittee was fore-ordained was first reported last week in a Flyer article quoting Deputy House Speaker Steve McDaniel (R-Parker’s Crossroads). McDaniel, a subcommittee member, confided the prevalent attitude on the subcommittee that, with action on the state budget already complete, there was no room to wedge in a new bill with a “fiscal note” (i.e., price tag) of $100,000. That fiscal note had been stripped from the Senate version of the bill by Senate sponsor Mae Beavers (R-Mt. 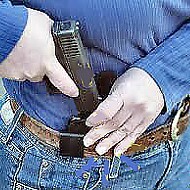 Juliet), but had been re-attached to the House version on the advice of Commissioner Bill Gibbons of the state Department of Safety and Homeland Security, who adjudged the sum to be necessary to pay for revising the language of state carry permits to accommodate the changed gun-carry picture. While the open-carry bill would let anyone carry anywhere, so long as their weapon was visible, permits would still be necessary for anyone wishing to carry a concealed weapon. The open-carry bill’s House sponsor, Micha Van Hass (R-Jonesborough) fumed that the relatively modest fiscal note was unnecessary, little more than a symbolic fig leaf. 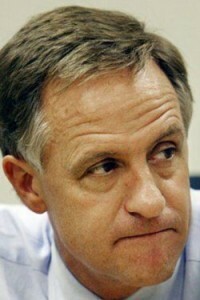 And indeed it was, essentially a cover for the administration’s apparent determination to abort the bill in the House, a chamber whose Speaker, Beth Harwell (R-Nashville) and membership are far more responsive to Haslam’s wishes than the Senate, where Speaker Ron Ramsey, the state’s Lieutenant Governor, holds sway in his own right. 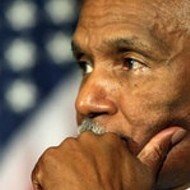 As one instance among many, Ramsey, memorably, had imposed the abolition of teachers’ collective bargaining on a reluctant governor and House speaker in 2011. 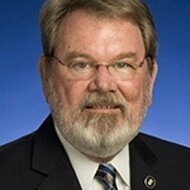 In this case, Ramsey had merely shifted from his own previously expressed philosophical doubts on open-carry to a position of laissez-faire, and he himself, along with most of his membership, went along with the Senate bill more or less spontaneously, whether motivated by a militant campaign on its behalf by the Tennessee Firearms Association or not. The outcome was regarded as a demonstration that Governor Haslam, a temperamental moderate who operates with a relatively loose rein, can impose a brake on what he regards as legislative excess — as he did late in the session of 2013 when he caused the relatively modest school-voucher bill he had approved to be withdrawn, rather than open it up to significant expansions sought by state Senator Brian Kelsey (R-Germantown) and others. The Governor also acted decisively in the 2013 session by bringing himself to make a rare veto of the so-called “Ag Gag” bill, widely regarded as a measure to suppress media investigation of cruelty to animals. A modestly revised version of that bill has been passed by both chambers of the legislature, however, and Haslam is expected to sign the new version into law.